More than a year ago I received the race picture above. I knew it was a message to me it was put on my fridge. 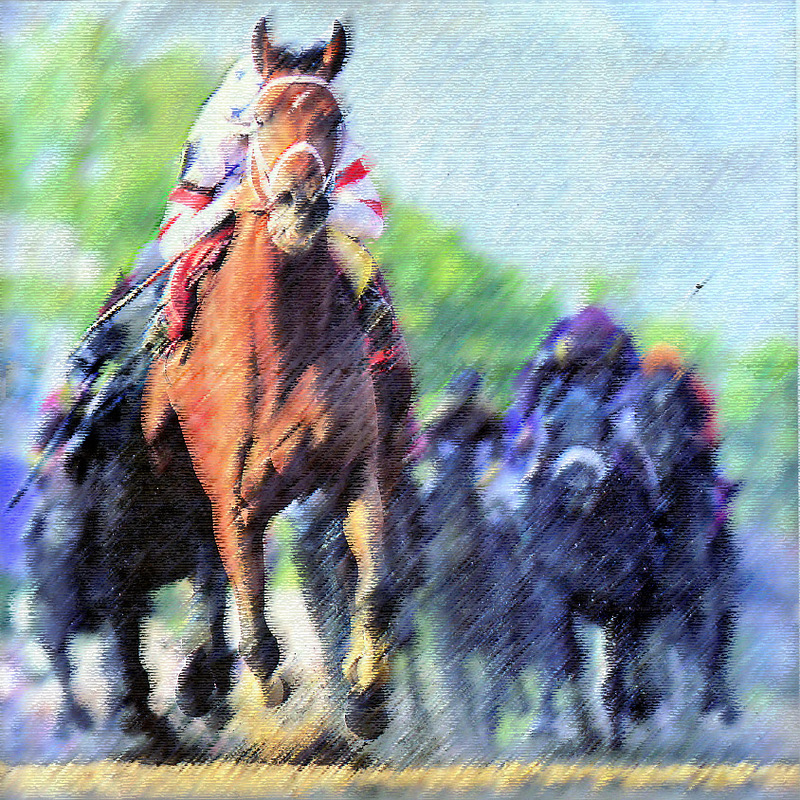 Abba; God, Dad; my trainer sent that picture it’s titled “Triple Crown Contender”. The words of the caption where profoundly encouraging, yet the picture deeply instructive. I am the horse not the rider; neither am I my own trainer. The first race was my youth; the training; the war for my identity; the civil war over rulership of my heart! My trainer; Dad and I were setting the trajectory for my life. I was being positioned in the race; I received my pacer, my training mate; the queen of my heart. In this race I became a man of God. My second race established me in my family, my profession, my tribe or faith community, and society. I became a priest and a king; an intercessor and ruler in particular realms – jurisdictions of authority or geography as ordained by God. I know that I had been hobbled off and on during my training for my first two races; I now see the wisdom of my trainer. I am hobbled no longer; free to run with all my heart. Today I see my next race is to realize my potential. It’s hard for me to not just talk, write, plan or think about it, but to simply; do it! It takes great heart, obedience, humility and discipline to grow to realize grace, truth and righteousness. Your prayers would be appreciated…The race of life can be hard but it is very, very good! A word of truth given a decade ago cut clean; “ we judge ourselves by our intentions and others by their actions “. I now define integrity as the alignment of intention and action. Our opponent in this race, our enemy “the accuser of the brethren” attacks our integrity to hobble us. If we lose heart, believe the liar, we are stifled, stumble, fall or don’t train; If we give up the will to race; he wins. I have made many mistakes. I have fallen down, stumbled, bucked the rider, and ignored the voice of my trainer. I have been at various times lax, lazy, weak and afraid. I have believed the accuser’s lies and lost heart for the race. But I am the horse, not the jockey, and not the trainer. I am called to be obedient to them and trust they know what they are doing. I need to keep my blinders on. The other horses on the track can be a hindrance or distraction causing me to lose heart or focus. We all run our own individual race on the track of Life, along with many other contenders for the eternal prize; true life! I am called simply to run the particular race before me with all my heart, soul, mind and strength. Every other horse on the track is setting their own record in the field. The records are kept by the race master; they are not at the track. I have my place in the field they have theirs, we run our own race. I do not keep the records or award the prizes. I take great joy in the running and in watching others run well, and strong. I’m a cheerleader, not a critic of others; I am my own worst critic and need no help there! Today is the 7th day of the “Feast of Dedication” and my 49th birthday. I am entering the Jubilee year of my life. I choose to re-dedicate today all my heart, soul, mind and strength to run my own race to win the crown, and to keep my blinders on. I choose to believe the messages delivered by my trainer the King of Heaven’s Armies; I choose to submit to my jockey, Messiah Yeshua (Jesus the Christ) . May you find the pleasure of the race and run with all your heart. May you feel the great comfort of the loving expert rider and the hope of victory for those who run the race with eyes fixed on the crown of Life!